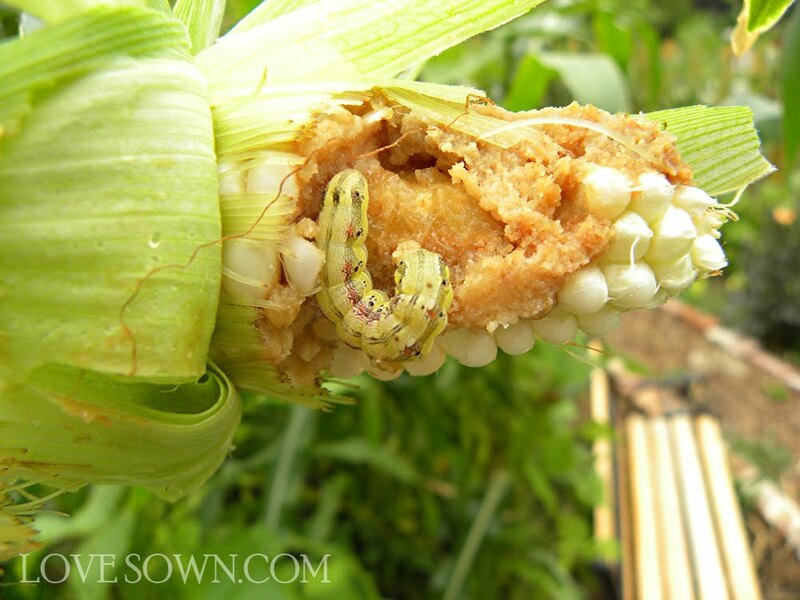 Who are you, and WHY are you eating my corn? Just the other day I was wondering how to tell when the corn was ready to pick. Well this morning, the ear pictured below looked ready, and when I started shucking it, this juicy caterpillar verified that indeed, it was ready. I pondered whether I should toss him to the birds or smash him. I'd already shaken him off onto a brick, so having the execution block prepared, it seemed that smashing was the proper choice. I held up a brick in one hand, still clutching my tarnished ear of corn in the other, and let the brick fall. Word to the wise, before dropping a brick on a bug completely stuffed with corn, make sure you step out of the way. My Chacos bore the evidence of his greedy appetite, which led to his execution and my foot's subsequent hosing. "Yuckie" is right. I just find this stuff so gross. My MIL squishes those between her fingers. Every time we'd go picking corn at Grandma's we'd have to pick these guys off. So annoying how they eat so much so quickly! !